Waterloo – A Laurier graduate student and her partners at the Balsillie School of International Affairs are among the winners of the Global Affairs Canada 2017 International Policy Ideas Challenge. 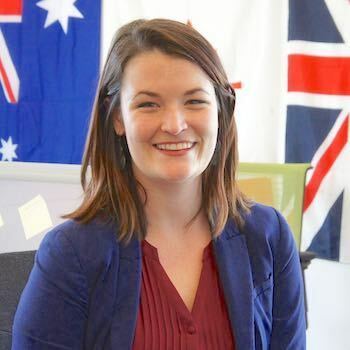 Olivia Matthews, a Master of International Public Policy (MIPP) student and graduate of Laurier’s undergraduate Global Studies and Political Science programs (BA ’15), is the lead researcher in a team of three students researching innovative ways to finance help for refugees. Dani Marcheva and Dominique Souris, both Master of Arts in Global Governance students registered at the University of Waterloo, are her partners. Finding better ways to support and protect refugees is “the most pressing global issue of our time,” said Matthews. “While money won’t solve every issue within the refugee system, it’s an important place to start." Matthews and her team initially proposed a number of ideas for innovative financing mechanisms involving non-traditional partners, such as the private sector. In consultation with Global Affairs Canada, the students will choose one or more ideas to research more intensively and expand into a policy brief. They will present their final research to Government of Canada officials in November, as well as participate in the Knowledge Summit of the Social Sciences and Humanities Research Council of Canada. Each of the 10 teams or individual International Policy Ideas Challenge winners receives a $3,000 award, plus travel expenses. The Government of Canada may select any number of policies to adopt or study further. Matthews, who is finishing her master’s degree in August but will continue to work on the project even after she starts a United Nations internship in September, said she hopes the government will choose to advocate for at least one of her group’s ideas on the international stage. Laurier alumna Nicole Swerhun (MBA ’96) was also recognized among the winners. Swerhun is a collaborator in a project about inclusive gender-based analysis in public participation processes. The lead researcher for that project is Maïka Sondarjee of the University of Toronto.